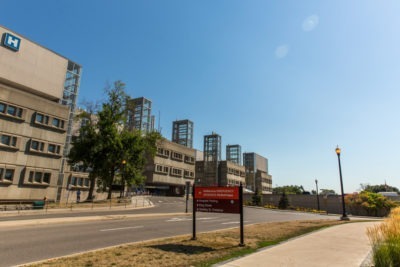 This specialized clinic within McMaster Children’s Hospital provides consultation for surgical brain or spinal cord issues. Our philosophy is family-centered care. We strive to provide the best care possible. Each six months we survey families to ask your perceptions of care. Any relevant test results (e.g x-rays) or letters from your child’s doctor or pediatrician. List of current medications and allergies. The Family Resource Library is located in the 3F clinic. Volunteer staff are available to help families find information about their child’s health or illness. Pamphlets, books, and resources on internet are available. The referral process is made through a direct referral from a pediatrician or family doctor to a specialist. Referrals can be faxed directly to clinic.